Goto www.entropiauniverse.com and get your free no subscription account today! DJ DaddyO Just secured the saturday night residency of the Hottest Virtual Nightclub in virtuality! CLUB NEVERDIE!!! Check out www.realityport.com today and get yourself an entropiauniverse account completely for free, no monthly subscriptions. Watch official EntropiaUniverse trailers here click me! 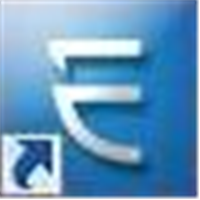 Visit the #1 EU Forum - EntropiaForum.com click me! Get started in EntropiaUniverse on PlanetCalypso click me! Get started in EntropiaUniverse on ClubNEVERDIE the record breaking hottest virtual nightclub in the world! clik me! This group is for people that live work and play inside entropiauniverse and for anyone else that's interested in looking! You can find out what there is do, what's going on at the moment and what's coming! Have fun.